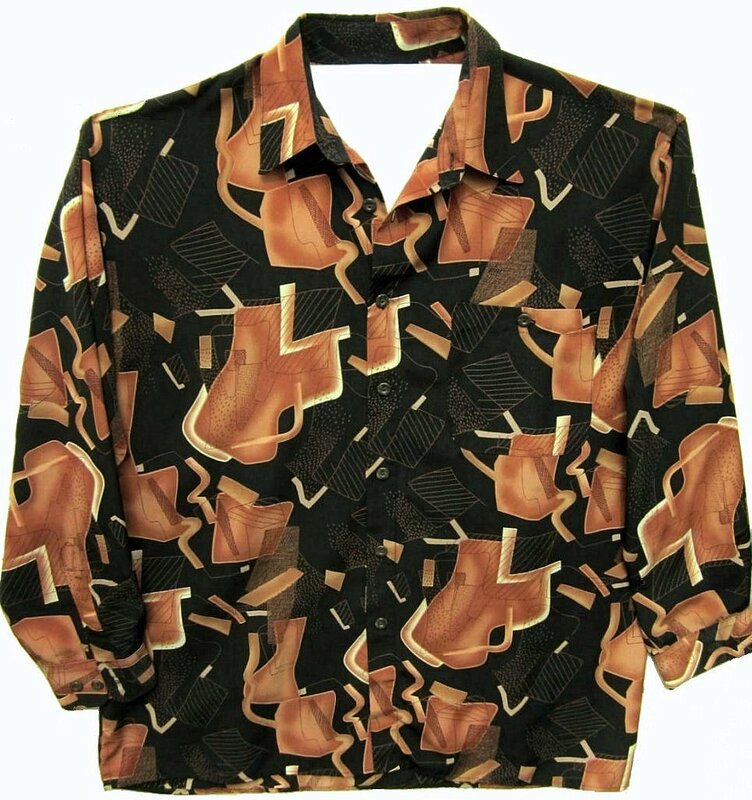 This is a well made shirt with a great pattern. The fabric is a sturdy slick flat polyester. No stretch. No cling. The black background is splashed with copperish brown & cream shapes. The coloring is not quite as orange or red as in photo. Not as saturated. Will match Taupe, Brown or Black pants. The shirt measures 50" around at armpit level for a loose 46" fit. The total sleeve length is 33". Machine washable inside out. Hang dry. Well made.